In recent years, both Kuwait and the GCC market have had to adjust to the post financial crisis. In this in-depth conference this relevant topic was addressed by experts in Risk Culture who provided an outstanding platform to learn more about the best practices in Financial Risk Management. Day one opened with Mr. Mohammad Altarakma, Head of Enterprise Risk Management at Burgan Bank. Followed by other experts like- Mr. Amr Hafiz -the Legal Advisor at Kuwait Financial Center, Mr. Issam Al Tawari – the Managing Partner at Newbury Economic Consultancy Company, Mr Mohamed Shoukry, Group Compliance Manager in a leading regional bank. Day two of this informative conference featured – Mr. Horst Simon Risk Culture Building Training and Advisory Services-Professional Development, Mr. Hesham Hamdy International Consultant/Trainer in Risk Management, Corporate Governance & Audit Arab Expertise House-Ain Shams University, Mrs. Amira Abdel Rahman Head Of Risk Management and Compliance National Investment Company and finally Dr. Ayman Fathi Aalgubari Financial Adviser-Officer of the Under Secretary State Audit Bureau of Kuwait. The final and third day of this conference was a series of two workshops conducted by the speakers Mr.Horst Simon and Mr. Hesham Hamdy who had interactive sessions with the attendees. 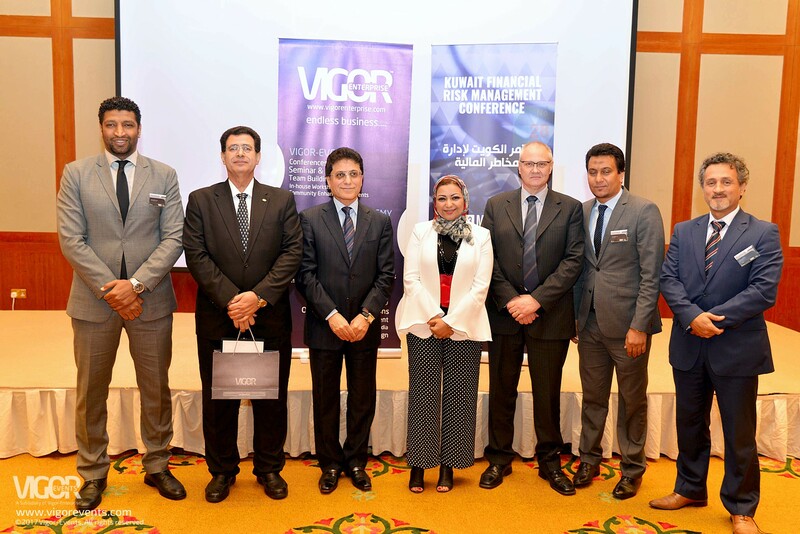 The Financial Risk Management Conference was tailor made for Top level managers, decision makers, supervisors, function heads, branch and middle managers held on the 1st to 2nd of May 2017 at Jumeirah Messilah Beach. The event was organized by Vigor Events, Co-organized by ALGAS Events.